Ukraine has raised natural gas reserves in its underground storage facilities (UGS) by 7.718 billion cubic meters (bcm) after the end of the heating season, JSC Ukrtransgaz has said. Thus, from April 8 to September 9, gas reserves in storage facilities more than doubled, to 15.153 bcm from 7.435 bcm. According to Interfax-Ukraine's estimates, gas stocks on September 1 through September 9 increased by 513.3 million cubic meters (mcm, 57.03 mcm a day), in August by 1.793 bcm (57.85 mcm per day), in July they expanded by 1.655 bcm (53.38 mcm a day), in June by 1.622 bcm (54.09 mcm per day), in May by 1.632 bcm (52.65 mcm per day), on April 9 through April 30 by 500.84 mcm (22.77 mcm per day). Ukraine had the smallest gas inventories after the 2017/18 heating season compared with the previous three seasons. Frosts in March and early April were recorded. 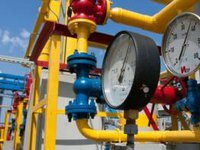 The Cabinet of Ministers of Ukraine expects that gas stocks as of November 1, 2018, would reach 17 bcm. Ukrtransgaz, wholly owned by NJSC Naftogaz Ukrainy, operates the system of trunk gas pipelines and 12 underground gas storage facilities of the country with a total capacity of 31 bcm.